A former rugby union international for both Australia and Ireland, Brian Smith is the director of rugby at London Irish. Born in St George, New South Wales, Smith played rugby union for the Queensland Reds and won 6 caps for Australia in 1987 before playing 9 times for Ireland between 1989 and 1991 as a fly-half. Smith later played rugby league for Balmain Tigers and Eastern Suburbs in the NSWRL competition mainly as a five-eighth and halfback. He has coached rugby union at the Ricoh Rugby Club in Japan, Eastern Suburbs in Sydney, Bath, the youth setup in New South Wales and was coaching co-ordinator at the ACT Brumbies. Smith has also coached at representative level with the Australia Sevens side. 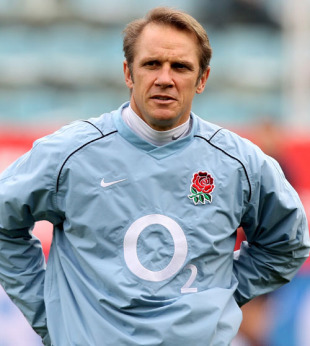 While Director of Rugby at London Irish in the Guinness Premiership, Smith was linked with the Ireland job as a replacement for Eddie O'Sullivan before he was appointed England attack coach in July 2008. After a dreadful World Cup campaign, where England's lack of attacking prowess came into question, Smith's role came in for criticism as a result of the infamous leaked reports to the press. And on November 24, 2011, Smith announced he would not seek a new contract with the RFU and was rumoured to be pursuing a new contract in Australia. However he took up the role of director of rugby at former club London Irish. He oversaw an overhaul of the coaching team with head coach Toby Booth among those to leave and Shaun Edwards among those to come into the club.